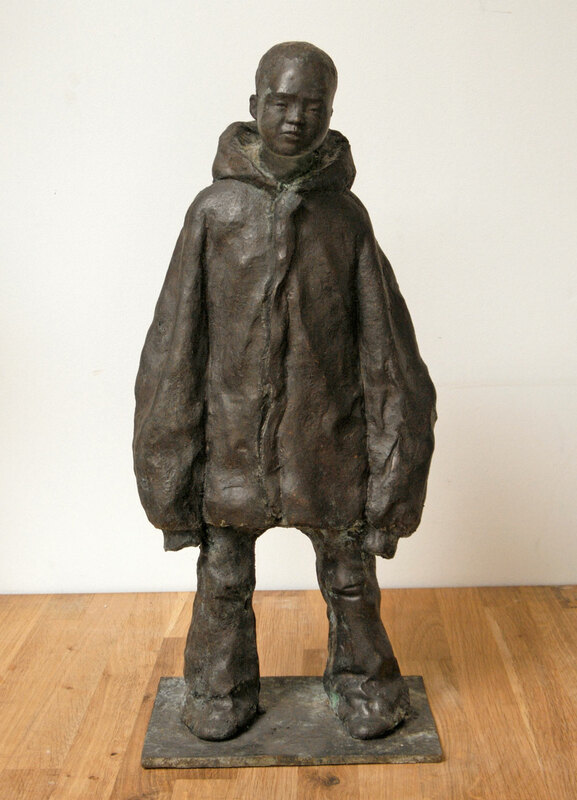 Made as a maquette for ‘No Man’s Land’ it is based on a newspaper image of a boy standing in no man’s land in Palestine. The 16 year old suicide bomber was intercepted as he approached the border on the West Bank and forced to remove the explosive belt before being stripped and sent back out to be photographed. 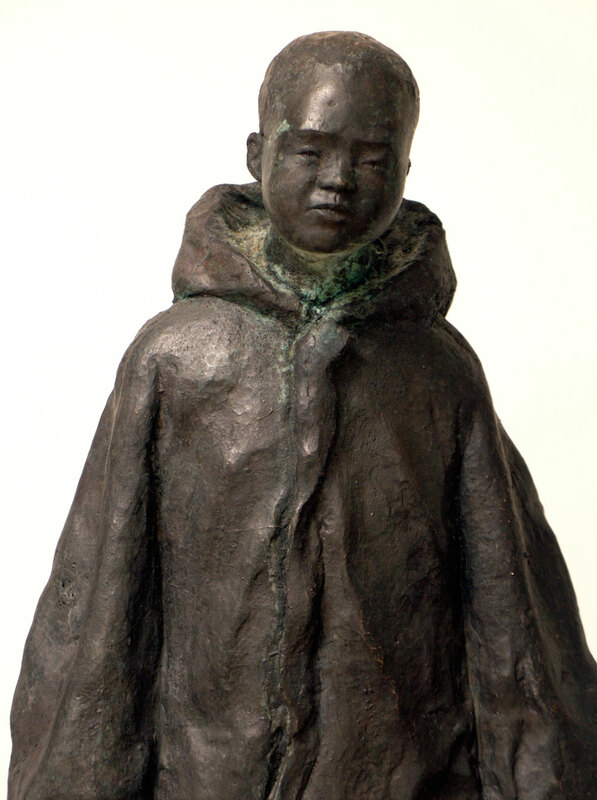 The boy stands in an oversized army jacket looking scared and lonely, presumably contemplating his future. 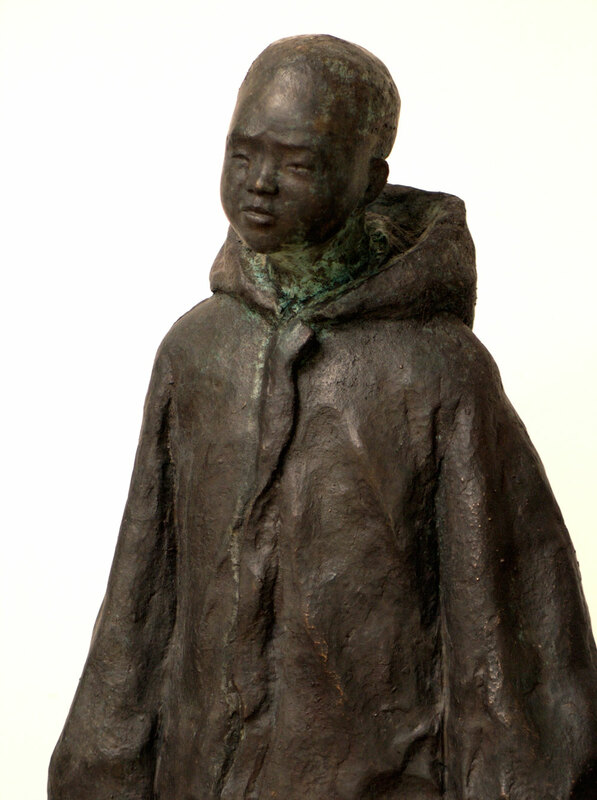 The piece was first modelled in wax over a metal armature before being cast into bronze. The piece is number one from an edition of six. An artist proof was recently sold in the Netherlands.